This post is for ALL girls. Both a reminder and a warning and a PLEAD FROM MY HEART! My sisters and I call it part of Sympathy Sucking, but it’s only a narrow portion of that. Today I’m going to address this narrow portion because it’s in DESPERATE need of addressing. Girls love their compliments. Being told we’re beautiful, our hair or clothes is nice. It makes our day. If someone tells me the sweater I chose to wear that day looks good on me, or that the flower I pin in my ponytail is cute, it makes me feel good. Feel noticed and acknowledged. There is nothing wrong with compliments. They should be given to encourage and uplift our friends and family. But notice they shouldn’t always be focused on the outward appearance. We all know that, right? Then why is that all that ever seems to be given? When you give a compliment, be real and honest. And if it’s not an honest compliment don’t give it. This can go two ways. If stopping with the dishonest comments seems to drain your ability to give compliments, make an effort to notice real things about people. The way they’re always asking if you have a prayer request that they could pray for, or the new cardigan they picked up from the mall that looks perfect with that outfit. 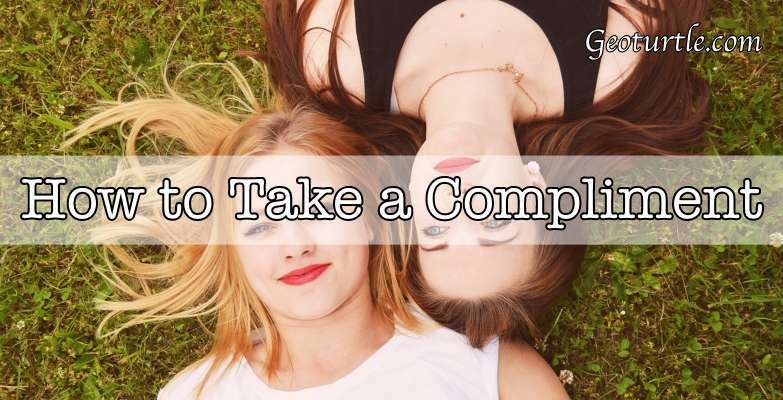 And if you simply give compliant to be a nice person, it’s so temporary, like a thin piece of rice paper, broken through with a simple bit of pressure. And you’re likely to gain a reputation as a person who throws compliments around that end up not meaning anything really. STOP TURNING IT AROUND! If someone gives you a compliment SAY THANK YOU. And that’s that. Do not go on to say how you just looove their shirt that day too! Because more often than not it turns into an awkward pointless conversation. It was odd and awkward and not at all genuine, making it sad. So… moral of the story. Please girls, stop turning things around! If someone compliments your new clutch, say “thank you.” There, now good girl. And if you’d like to return the favor in genuine interest, don’t give it right then. Because that feels like a cheat. And it is just… sad. Giving compliments is an art, taking them is something to do with grace. Please learn this girls, and please stop making things so shallow and pointless. I've never realized that this is something we need to talk about! I didn’t either until recently. *eyeroll* like, it’s something that should be obvious but I guess it’s not. And that whole awkward compliment thing happens to me all the time, it’s so obvious. Man, this is so so true. Never realized how much I do that. Or I’m gonna say something like ‘I like your shirt’ but then they compliment me then I just do it then. But you say is so true. Thanks for always sharing the truth! Exactly. Thanks for your comment Kenzie. Totally agree with this! If you are just responding to a compliment with a compliment, then it doesn’t mean anything!